There is nothing I like more than a good BBQ sauce! We LOVE BBQ chicken sandwiches, BBQ Chicken on the grill, and BBQ little weenies for football season! All of these are so great for your upcoming Labor Day celebrations, last days of grilling and football season!! Looking for a delicious BBQ sauce without all the artificial junk? Let me recommend our favorite as of late - Stubb’s Legendary Bar-B-Q Sauce from the legend himself, Rocky Stubblefield! Stubb’s spice rubs are the first step to great barbecue. Become a pitmaster in your own right by always starting with a good rub. As I mentioned, we LOVE Barbecue anything in our house! But the must-have is a really good BBQ sauce without high fructose corn syrup, artificial ingredients or any other icky ingredient! 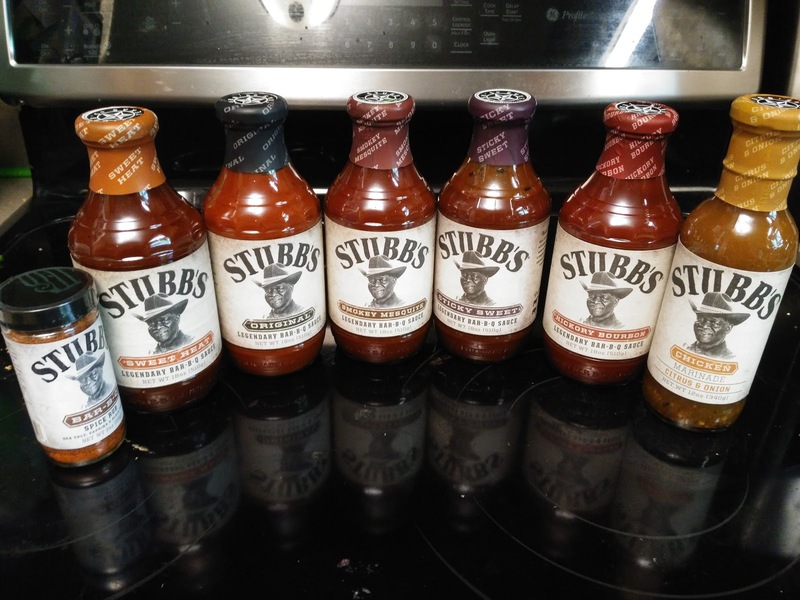 Stubb's has all that and more with their Sauces PLUS Spice Rub and Chicken Marinade! We tried the Spice Rub on our homemade hamburgers the other day and they were the best hamburgers we have ever had! Everyone was wondering what I did different this time around - and I replied with STUBB'S! If you are looking for an easy but delicious meal for this Labor Day weekend or upcoming football party, add Stubb's to any meat, put in the crockpot, grill or pan and you will have a delicious meal! You can purchase Stubb's products online or at your local retailer. Stubb's is generously offering (1) $20 in coupons, a Stubb’s T-shirt and Branded Spatula to a lucky winner!